Children also participate in cold water sports, so it’s important to purchase a kids winter wetsuit which will keep your child warm. Most cheap branded kid’s winter wetsuits suffer from ill fitting due to low grade neoprene being used in the construction wetsuit.  At sorted surf shop we only sell the best branded kids winter wetsuits which use high quality neoprene which ensures a nice supple fit. Getting a tight, but comfortable fit is essential in order to keep your child warm in cold water. All of our kids winter wetsuits are available with Free UK and EU delivery. If you would like advice regarding kids winter wetsuits we are devoted to helping customers make the right choice when buying neoprene for their kids. Please contact us and our expert employees are here to give expert advice. Where To Buy The Best Children's Winter Wetsuits? When it comes to keeping your children warm in the water Sorted Surf Shop has sourced the best and warmest wetsuits in the market. We sell as many kids 5mm winter wetsuits in the summer as in the winter as children always feel the cold. If you are looking to keep them warm in the summer months then an entry level suit will be just what they need and the prices wont break the bank. If your loved one is into winter surfing or general water sports then the O'Neill & Rip Curl range of suits has everything you need. As we all know children are growing all the time so when it comes to spending your money you pretty much know they will usually get one or two seasons out of the wetsuit. Don't buy something to big as is the temptation thinking they will grow into it as if it is to big they will just get cold and it defeats the object of having it on. A suit should fit snug to the body with not too much of a gap on the lumber region. If cold water sits in the lumber region it will make the kidneys cold and cold blood will pump around the body. So in a nutshell a little room for growth is fine but not too much. In terms of budget it is the case that the more you spend the warmer the wetsuits become as they have the addition of thermal lining and better neoprene's. If you are in any doubt of what size to buy and what would suit there needs best then please feel free to contact us for helpful advice.